Welcome to Circa Vintage Boutique, a retail vintage clothing shop owned and run by Maggie Ballinger in Harrogate, United Kingdom. We stock a wide variety of vintage garments and accessories in our two-floor shop on Regent Parade, Harrogate. Our carefully restored stock includes dresses, skirts and blouses, as well as outerwear and a wide selection of accessories including hats, scarves, shoes, handbags and jewelry. Looking for a unique, vintage piece to add to your wardrode? We've been selling classic, individual pieces to the general public and to the theatre and film industry since 2012. 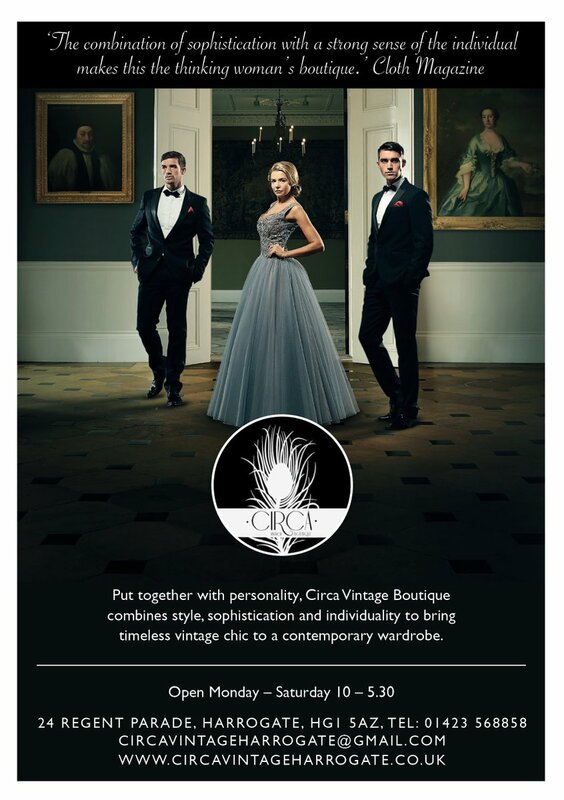 If you haven't already, make sure you drop by @CircaHarrogate and explore their wonderful range of vintage clothes. Thanks to everyone that joined us today to support @Corrinafriends at our vintage fashion show @CrownHotelHGT!